Bus route Zagreb – Plitvice Lakes National park isn't as busy as you might expect. Buses are leaving every day but you can only choose between 4 departure times. One bus is leaving early in the morning, two are going to Plitvice Lakes in the afternoon, while one bus is driving late at night. You'll be traveling on the new highway up until Karlovac, and from there switch to the old highway. Travel time depends on a bus carrier choice, their route, and a number of stops. Although, it never transcends two and a half hours. Unless there's a rush hour during summer or a particularly bad weather conditions in Croatia during winter, traffic is flowing normally. If you want to buy a one-way ticket, prices vary from 10.4 € / 11.1 $ to 11.2 € / 11.9 $. On the other hand, if you want to buy a round-trip ticket, fares range from 15.7 € / 16.7 $ to 16.9 € / 18 $. All the operators on this route are equipped with air conditioning, TV, and WiFi in order to secure a comfortable and enjoyable journey. Bus station Zagreb is surrounded by newsstands, cafés, and shops, where you can buy something to eat and drink. Also, it's located nearby the city's center so you can kill some time the during the day with sightseeing. Plitvice Lakes National park doesn't have bus terminal but there are two bus stations, placed very near the National park's (two) main entrances. If you have planned an itinerary for a day trip or you've booked a room in a hotel near Plitvice, be sure to check out at which entrance/bus station you should exit. If you're visiting Croatia during summer, Plitvice Lakes are conveniently located in the middle of the (old) road to coastal towns like Dubrovnik, Split or Zadar. They're a perfect distraction for a day trip or two. Autopoduzece Z - Imotski d.d. Shops, bakeries, fast food joints, newsstands, and cafés are some of the services and facilities you'll find at this bus station. If you're itching to share every minute of your journey on social media, don't worry. You'll find WiFi signal in most of the cafés. In addition, bus station Zagreb has a huge covered waiting room, a luggage storage area, and, of course, a pay toilet (0.3 € / 0.4 $). Information desk works 24/7, in case you have any trouble or inconvenience with tickets or the timetable. 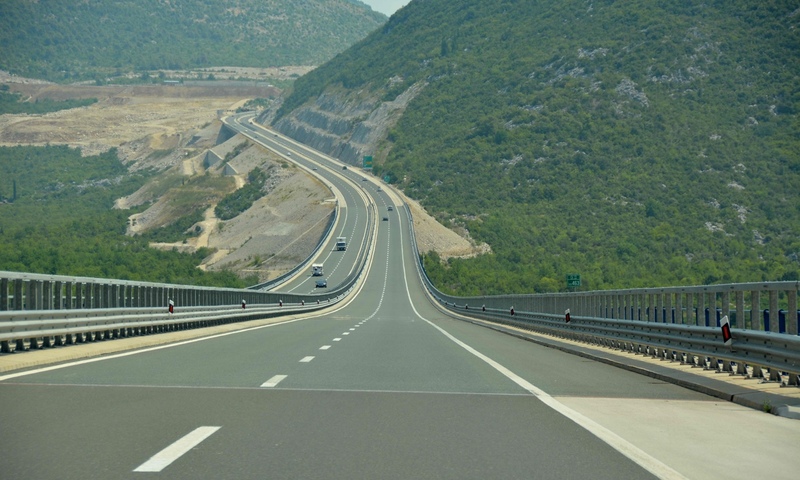 Buses from Zagreb to Plitvice drive through both new and old highway in Croatia. Average travel time depends on a bus carrier's route choice (how long they'll be driving on the new/old highway) but, in any case, your travel shouldn't take more than two and a half hours. Travel time is relatively short (from around 140 to 160 km) so the new highway didn't significantly shorten the trip like it did for the Zagreb - Split bus line. Bus stops also play a notable part in a duration of the trip. The slowest ride to Plitvice Lakes National park has two bus stops. There are no stops on a direct line. Bus stops are short and serve the purpose of unloading / carrying passengers. Buses don't make stops at gas stations. Aside from typical rush hour peaks during the summer season and occasional bad weather conditions in Croatia during winter, traffic is flowing normally on this line. Plitvice Lakes National park doesn't have its own bus terminal. However, it boasts two bus stations, conveniently located near two entrances to the National park. Entrance 1 is called Rastovaca, while entrance 2 is named Hladovina. There's also an auxiliary entrance FLORA. In the near vicinity of the National park, you'll find a luggage storage facility. Also, there are lots of shops, restaurants, and cafés where you can buy food, drinks and other things. Food and drinks in Plitvice area are a bit more pricey than in the rest of Croatia, though. All buses on this journey come equipped with air conditioning, TV, and WiFi. You'll have barely enough time to watch one movie during this travel so maybe it's best you take a short nap or browse the internet. With a bus, you'll quickly reach Plitvice Lakes National park. The ride is comfortable, not too long, and affordable. Not to mention, the bus is the only mode of organized transport if you want to get from Zagreb to Plitvice. The train doesn't stop at Plitvice Lakes and the National park doesn't have an airport of its own. The nearest airports (Zagreb, Zadar) are each 140 km away. Moreover, Plitvice Lakes are too far away from Dubrovnik Airport and Split Airport. Besides bus, you can take (or rent) a car to get to Plitvice Lakes. If you're going to Plitvice exclusively via an old highway, you won't have to pay a toll ticket but you'll get there one hour later than you would by bus. On the other hand, if you want to shorten your travel time, you'll have to pay for driving on the new highway. The price of a toll ticket will vary depending on the exit you take. You can get off in Karlovac and pay 1.4 € / 1.5 $ or in Gospic and pay 6.6 € / 7.3 $. Of course, you'll additionally have to pay for a gas. If you want to get to Plitvice Lakes National park fast, buy a ticket for a direct line with no stops. It will take you to Plitvice in an hour and 45 minutes. Bus line with one stop will also take you to Plitvice in less than two hours. However, if you buy a ticket for other bus lines, it'll take you half an hour longer to get to Plitvice. It's worth mentioning that a route with two bus stops is seven minutes longer than the line with 13 stops. Operators stop at following cities and places: Karlovac, Cerovac Vukmanicki, Tusilovic, Krnjak, Budacka Rijeka, Zagorje – Lika, Tocak, Veljun, Pavlovac, Niksic, Donje Taboriste, Slunj, and Rakovica. All buses, except the direct line, are making a stop at Karlovac station, mainly in order to switch between the highways. Karlovac is an old renaissance town and an important traffic intersection in Croatia. It is best known as "The city on four rivers" since four rivers – Dobra, Korana, Mrežnica, and Kupa - run through it. Beer also runs through this beautiful town, especially during summer when a local beer factory organizes a festival similar to Oktoberfest. Cerovec Vukmanicki and Tusilovic are villages in Karlovac municipality. Budacka Rijeka and Zagorje (Lika) belong to Krnjak municipality, which is a part of in Karlovac County. Tocak, Veljun, Pavlovac, (Gornji) Niksic, and Donje Taboriste are a part of Slunj municipality. Slunj is one of the most picturesque towns on the old highway. Founded 600 years ago, Slunj is settled along the coasts of river Slunjcica and Korana. Nearby Slunj station, you'll find a small water mill town Rastoke. Due of its numerous waterfalls, currents, and lakes, Rastoke is known as "Small Plitvice Lakes". Slunj and Rastoke are fantastic places for enjoying sports like rafting, kayaking, canoeing, and, in summer, swimming in the Korana river. The lesser known fact is that Slunj is the birthplace of Milan Neralic, the first Olympian and Olympic medal winner from Croatia. Rakovice is a settlement in Karlovac County, best known for rebellion against Austro-Hungarian Empire, organized by Eugen Kvaternik, a well-known Croatian politician. 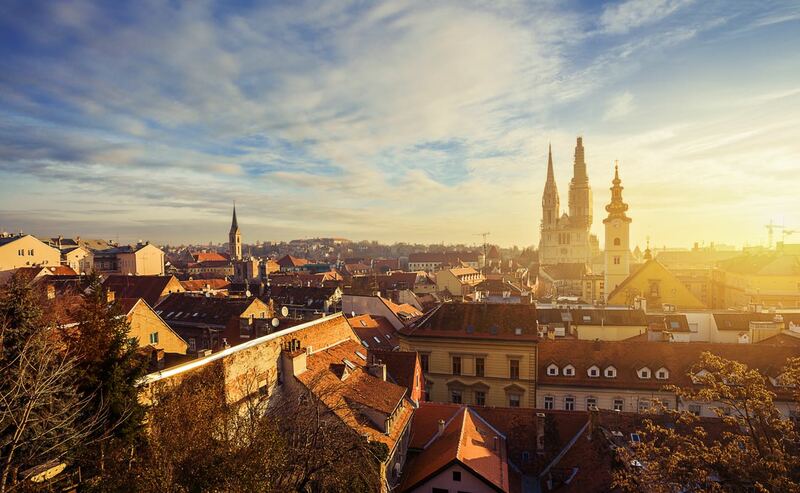 Zagreb is the capital city of Croatia, as well as its economics, cultural and traffic center. It's also becoming a popular tourist spot lately, like Dubrovnik, Split or Zadar. In fact, Zagreb was proclaimed as the Best Christmas Market in 2016. Zagreb is well connected with Europe and the rest of Croatia by plane, train, and bus. Bus station Zagreb is positioned very near the town's center. It takes about 15 minutes to get to Zagreb's main square by tram. Trg bana Jelacica square is the best starting point for sightseeing. Zagreb's most distinctive features – Gradec, Kaptol, Zrinjevac – are in the close proximity of the main square and won't take a whole day to explore. But if you have more time, you can buy tickets for a variety of shows and exhibitions that take place in Zagreb's numerous galleries, museums, cinemas, and theaters. When you get tired of sightseeing, drop by at one of the cafés in Tkalčićeva street. If you want to get a broader picture of Zagreb, buy a ticket for the public transport and drive away to Maksimir park and ZOO, Mirogoj cemetery, Nature park Medvednica, New Zagreb, and Jarun lake and recreation center. Except for the ZOO, you don't have to buy tickets for aforementioned attractions. You can spend the extra cash on wining and dining in numerous, gastronomically diverse restaurants, with cuisine ranging from Bosnian and Italian to French and Chinese. Or you can have a bite of local cuisine. We'd recommend you order strukli, Zagreb's steak, turkey with mlinci, and sour cream and cheese to get a fulfilling effect. Zagreb is the birthplace and home of many famous artists, scientists, and athletes. Writers Miroslav Krleza and August Senoa, sibling athletes Ivica and Janica Kostelic, and scientists Marin Soljacic and Ivan Dikic were born and lived here. Plitvice Lakes National park is the oldest and most visited National park in Croatia. It is also listed as one of the UNESCO's World Heritage Site. 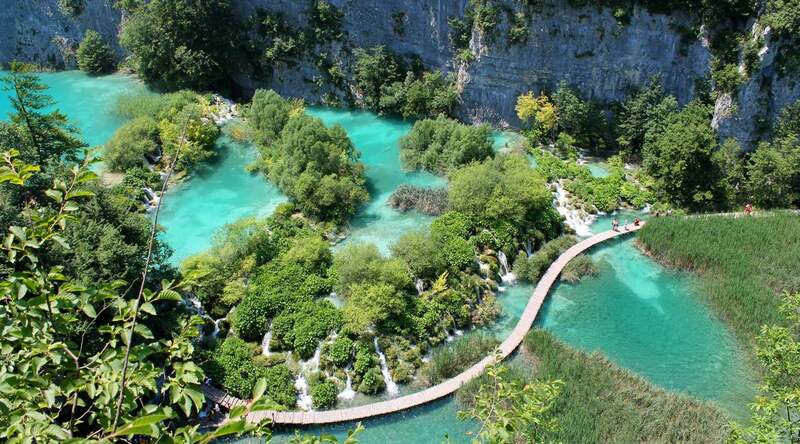 Plitvice Lakes National park is a favorite travel destination in Croatia. Not only among foreign tourists but locals as well. Beautiful, intact nature, biodiversity, fantastic range of forest colors, and 16 crystal clear lakes make a compelling argument to come (and return) here. Plitvice Lakes are grouped into the Upper Lakes and the Lower Lakes. Upper Lakes group consists of Proscansko jezero, Ciginovac, Okrugljak, Batinovac, Veliko jezero, Malo jezero, Vir, Galovac, Milino jezero, Gradinsko jezero, Veliki Burget, and Kozjak. Kozjak is the largest and deepest lake in the park. Lower Lakes group is comprised of Milanovac, Gavanovac, Kaluderovac, and Novakovica Brod. At the end of Novakovica Brod lake, you can see the source of river Korana. You can walk all day to see all the lakes, waterfalls, and caves in the park or you can take a boat and/or a train on a fraction of your sightseeing tour. However, take notice that the boat and/or train availability depends on a season. Ticket price also varies depending on the season. Tickets are most affordable during winter. You can buy a ticket in winter for only 55 HRK (around 7.2 € / 7.7 $). In spring and autumn, ticket price doubles to 110 HRK (around 14.5 € / 15.4 $), while during July and August ticket fare soars to 180 HRK (around 23.8 € / 25.3 $). Regardless of seasons, any time is good to visit Plitvice Lakes. According to a legend, Plitvice Lakes were created after a long period of drought. People were praying to the gods and begged them for rain, but with no effect. At last, Black Queen had arrived with her fairy entourage and had mercy upon the people. She summoned forth a mighty rain, that was falling down until it filled the river bed of Black river with 13 lakes. The first lake, Proscansko jezero, is named after people's begging (Croatian word "prositi" means to beg), if we are to believe the legend. 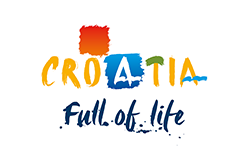 If you want to go back from Plitvice Lakes to Zagreb you just need to check possible daily lines and in two and a half hours you will be back in Zagreb.